Perlite is a natural volcanic glass, formed by the sudden cooling and solidification of volcanic ash, which traps water into its mass. Perlite’s most important natural property which is its ability to expand in temperatures of 800o–950o oC, is precisely due to the existence of the entrapped water in its interior. The abrupt, controlled rise of temperature causes a white mass of minuscule glass bubbles to be formed. Perlite melts and expands due to the entrapped water’s evaporation. 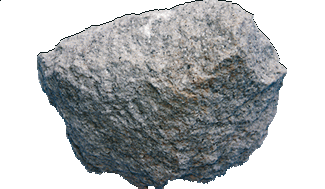 The mineral thus acquires special properties as heat and sound insulation material, whereas at the same time it becomes extremely porous. 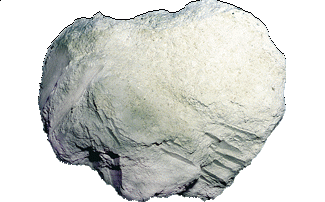 Expanded perlite is used in the manufacturing of formed products (acoustical ceiling tiles, roofing tiles, boards & panels) and building materials (plasters, mortars), while, in horticulture, it is used as a substrate for soilless culture and in mixture with peat as a propagating media in greenhouse growing and landscaping applications. 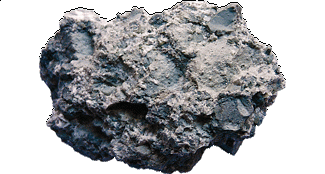 Kaolin is a mixture of hydrous aluminium silisic oxides and it includes the minerals kaolinite, anoxite, halloysite and allophane. These minerals have the same chemical composition, but different optical properties and a different internal structure of their crystals, as shown under x-ray examination. In Greece, on certain Aegean islands such as Milos, Lesbos and Kimolos, we find kaolin suitable for paper and cement industries. Bentonite is a plastic clay generated from the alteration in situ of volcanic ash, consisting predominantly of montmorillonite. Bentonite presents strong colloidal properties and increases its volume several times when coming into contact with water, creating a gelatinous and viscous substance. Its special properties of swelling, water absorption, viscosity and thixotropy,make it a very valuable clay for a wide range of uses and applications. 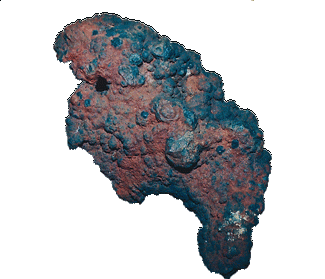 Initially used in oil drilling, this natural material has proven to be a critical constituent in the production of castings and iron-ore pellets in foundry and pelletizing, respectively. Bentonite is also used in civil engineering projects (thixotropic additive for foundation engineering, grouting and tunneling, component of soil sealants), but also in the adsorbents, cat litter, animal feed and bleaching earths industries. Processed bentonite has a wide range of industry applications, such as detergents, pharmaceuticals, cosmetics, oils & food, paints, dyes and polishes. 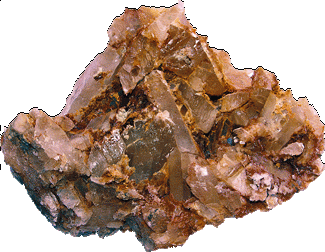 Baryte is a heavy, inert and stable mineral. These properties make it useful in a number of industrial and technical applications. Approximately, 80% of baryte produced, is used for the preparation of drilling pulps especially for oil wells. Addition of baryte increases the special gravity of these pulps. Other uses, such as glass-making, elastics, paper and chemical industries, absorb lesser quantities of baryte. “Barytine” in Greece, is the name given to baryte, with a low content of silver. It is found on the islands of Mykonos, Milos, Kimolos, Polyegos. Baryte ores of a lesser importance can be found in the Peloponnese, in Macedonia (Kilkis) and on the island of Thasos. Manganese is a hard, brittle metal, the twelfth most abundant element in the earth’s crust. It is not found independently in nature, but is bound to other elements (O, H, C, Si, Fe), with which it forms different minerals, such as pyrolusite, manganite, psilomelane, hausmanite, rhodonite etc. pyrolusite (manganese dioxide, MnO2) is the most common and widespread manganese mineral. Manganese has been used unknowingly since antiquity, because of its presence in most of the iron ores mined during that period. This is evidenced by the green manganese slag (waste material from iron ore combustion) discarded at Archampolis, on the island of Euboea, and Lavrion (3000 BC). In antiquity, manganese was also used mixed with iron oxides as a pigment (ochre). The most important manganese deposits are located in the south-west Peloponnese, in western Greece, southern Macedonia, Chalkidiki, and on the islands of Euboea, Andros, Paros, and Milos (Vani). Whether as an element or an oxide (pyrolusite), manganese has various uses. It is also a most important trace element in the food chain of plants and animals. Most of the manganese produced worldwide, is used in iron metallurgy and in the stainless steel industry. 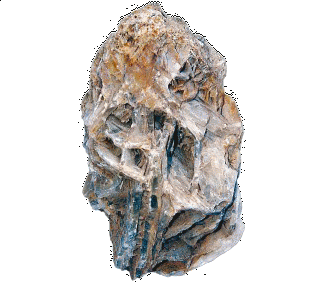 The manganese mineral pyrolusite is widely used in the manufacture of electrical elements (batteries), as a chemical reactor (oxydant or catalyst), and in the glass industry. After the end of First World War, the demand for manganese diminished, resulting in the closing of the mines at Cape Vani in Milos in 1928. The mining and exploitation of natural pyrolusite in Greece ended permanently in the mid-1990’s. Often found in volcanic areas, native sulphur (S) comes from gases or high temperature liquid solutions. The use of sulphur in antiquity is first mentioned in the Homeric Iliad and Odyssey. Its therapeutic properties were known in the time of Hippocrates, when it was also used for polishing metals and as a disinfectant (the emanations of sulfur dioxide during combustion have disinfectant properties). There are two types of native sulphur deposits in Greece. The first type results from the reduction of sulphates, particularly gypsum, and is found on Zakynthos, Crete, and in the area of Lake Ozeros, near Agrinion. The second type was produced by evaporation and is connected with post-volcanic fumarolic activity. This type is present at Sousaki near the Corinthian isthmus, on Milos, and Nisyros. 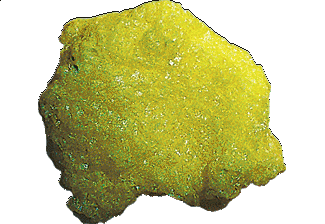 In general, sulphur is a very important raw material in the chemical industry. It is used primarily for the production of sulphuric acid, fertilizers, pesticides, paints, explosives, matches, fireworks, and rubber. It is also used in metallurgy for the production of iron and other metals, and in the textile, paper, and pharmaceutical industries. Nowadays, sulphur is obtained primarily through the desulfurization of petrol and natural gas. The sulphur mines at Palioremma, Milos, operated from 1862 until 1958, since new, more economical methods for producing sulphur were discovered. No sulphur mines are currently active in Greece. Natural volcanic glass formed by the very rapid cooling of molten rock. Under certain conditions, viscous rhyolitic magmas at high temperatures (900-1000° C) by sudden cooling of the outer portions of domes or flows as they are ejected, produce a homogeneous natural glass, obsidian. It may be found in layers or lenses within rhyolitic lava flows or in beds (flow-banded or thinly laminated), or “bombs” and stones (lapilli) in pyroclastic flows from the collapse of the outer portions of the domes, or also as pebbles in secondary deposits. 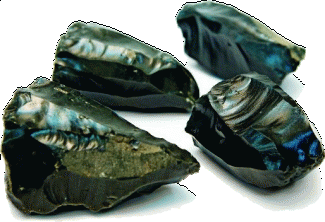 Deposits of obsidian on Milos are products of volcanic activity on land. Their magma of origin was acidic, rich in SiO2, and created especially large dome extrusions and subsequent viscous flows of rhyolitic lava. The volcanoes were active 1.45 million years ago at Bombarda (west of Adamas, see Route 7 – Nychia) and 880,000 years ago at Demenagaki. The Milos Mining Museum has a permanent exhibit dedicated to obsidian that is worth a visit. Hydrated calcium sulfate. Soft, superimposed, transparent sheets, with frequent “swallow tail” twinning. It is a common mineral in deposits of evaporites (mineral deposits formed by the precipitation of salts in enclosed sea or inland basins). On Milos the presence of gypsum is associated with hydrothermal activity. Diatomaceous earth (Diatomite) is a light, white, friable sedimentary rock composed of the siliceous shells of microscopic aquatic (marine or lake) plants called diatoms that lived in huge numbers. 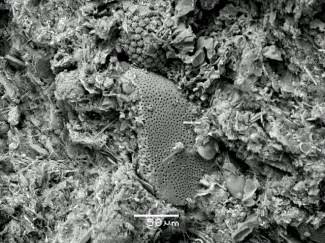 Rarely do the shells of diatoms form sediments by themselves, as they are usually accompanied by carbonate or clay minerals of volcanic origin. The classification of diatoms into many thousands of genera and species is based on the structure and embellishments of their shells. Some have mirror symmetry (resembling boats, feathers, etc.) and others radial (like wheels, discs, etc.). This variety in shape gives diatoms two of their most valuable properties: very high external surface and loose consistency, which results in high porosity (up to 75% or more of total volume). Thus, because of their lightness, porosity and high purity (they contain no residues of foreign substances), diatomaceous earth has proven to be an excellent filtering agent, ideal for beverages and medicines. It is also used as a filler in paints and plastics and in the production of adsorbent products (pet litter), etc.